Looking for a fun and unique shower or party favor? These 2 oz. 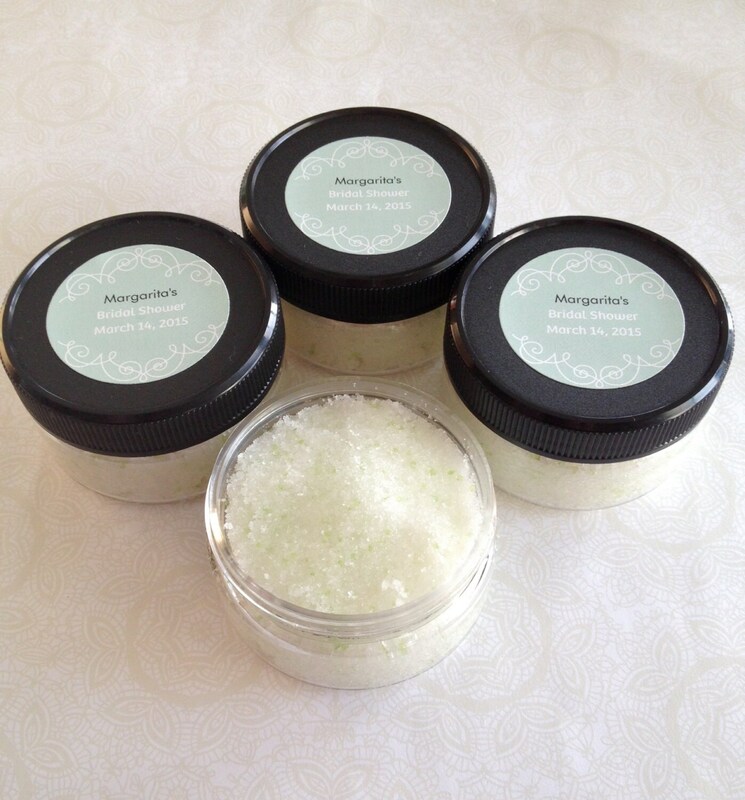 personalized sea salt scrubs not only smell great but feel great as it exfoliates skin removing dead skin cells leaving skin amazingly soft and supple. 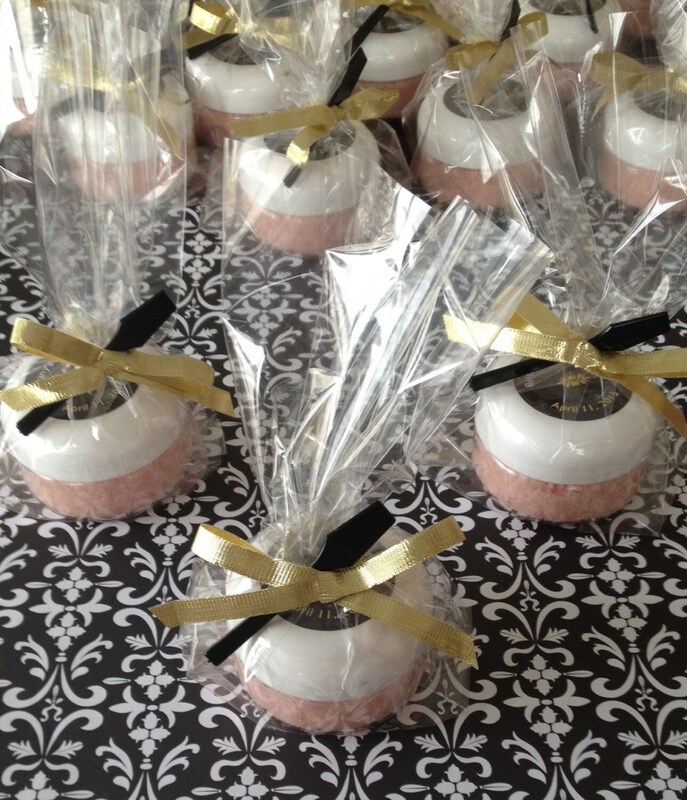 Perfect for handing out to your guests at baby, wedding showers, or party's. To use simply rub on skin and rinse thoroughly. 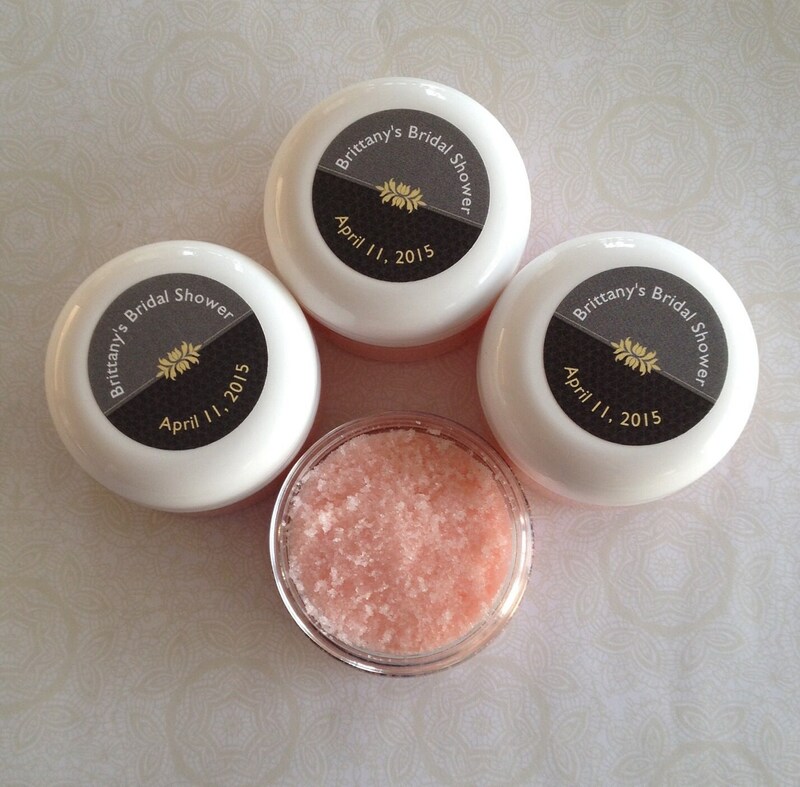 You will be amazed at how soft and supple your skin will feel! Use prior to shaving to avoid skin irritation. For external use only. I strongly recommend ordering a scent sampler to make sure you are choosing a scent you are happy with. Convo. me and I will make a custom listing for you. 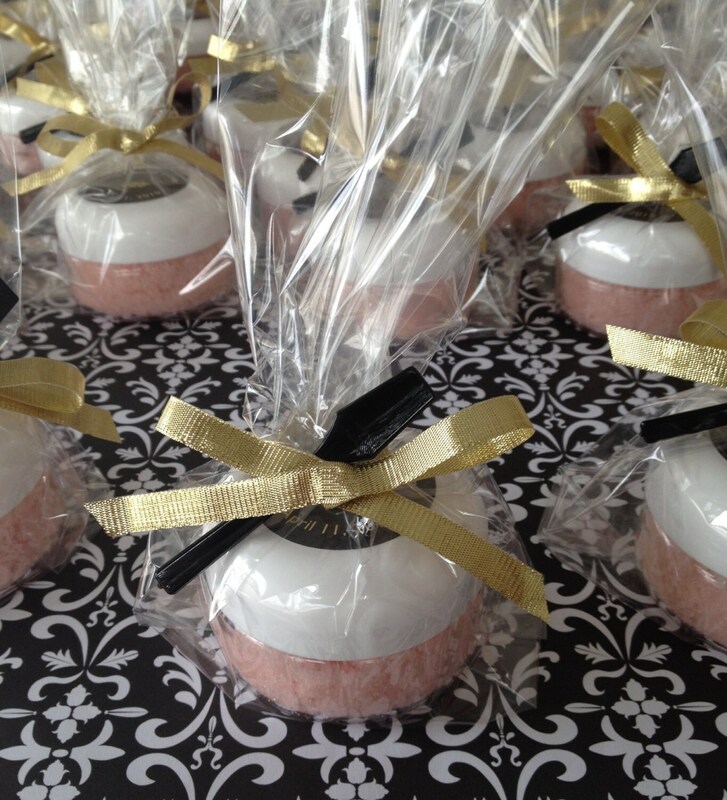 All orders of 20 or more favors will receive a free gift for the Bride or Mother-to-be. 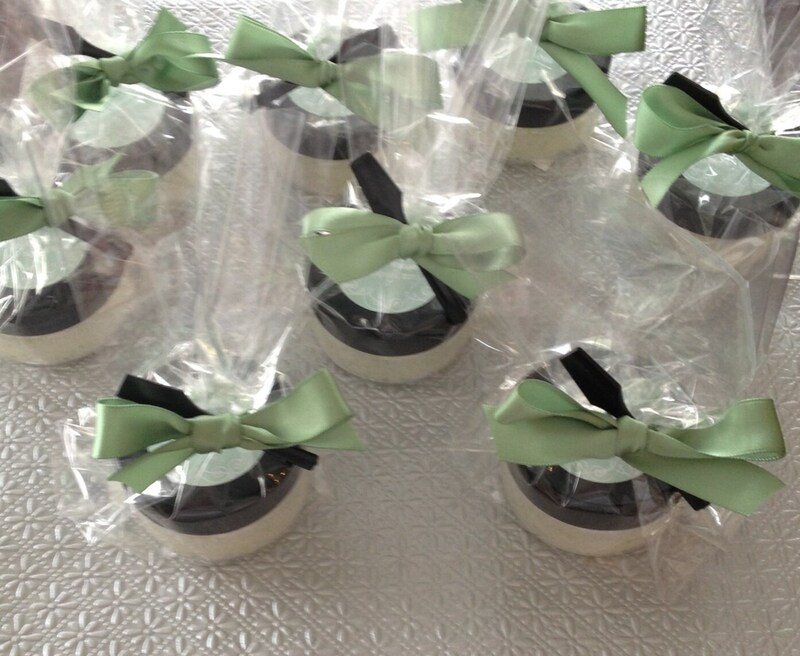 All products are individually wrapped and include a spatula for easy application. Please specify scrub and ribbon color and white or black lids and spatulas. I also will need Bride or Mother To Be's name and event date. I will then e-mail you samples of personalized lid labels for you to choose from. Visit and like us on fb for new products, give-a-ways, coupon codes and more!